Reliance Jio’s Rs. 49 plan for JioPhone comes with a total high-speed data benefit of 1 GB for a validity period of 28 days. This means the subscriber can use a maximum 1 GB of high-speed data during the 28-day period, among other benefits. The subscriber also gets a total of 50 free SMS in this JioPhone recharge pack. 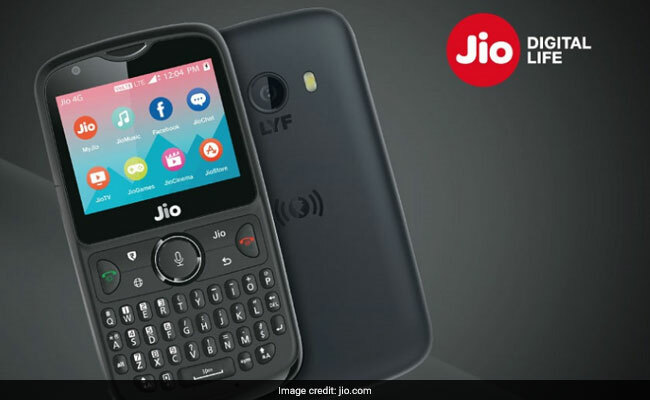 The company offers a total of 14 GBs of high-speed data in its JioPhone plan of Rs. 99, with a daily limit of 0.5 GBs. That means the subscriber gets 0.5 GB of mobile data at high speed every day during the 28-day validity period of this JioPhone plan. Other benefits include 300 free SMSes for the validity period. 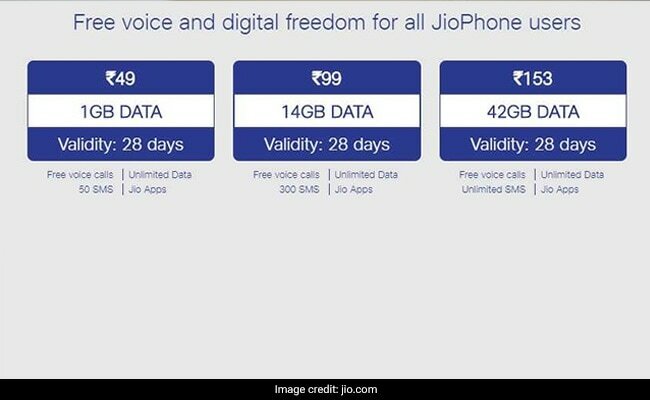 In all three plans, local and national voice calls are free and data continues at a revised speed of 64 Kbps after exhaustion of the respective limits applicable to high-speed data, according to the Jio website.